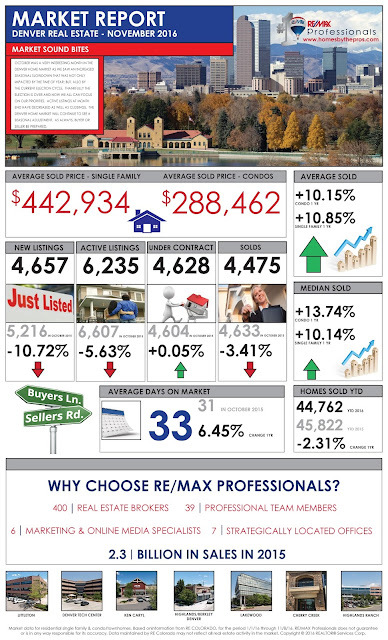 Denver Real Estate Market Report 2016! #1 Agent at RE/MAX Professionals 3 Years in a Row! - Closed dollar volume of $1.779 Billion. October was a very interesting month in the Denver home market as we saw an increased seasonal slowdown that was not only impacted by the time of year; but, also by the current election cycle. Thankfully the election is over and now we all can focus on our priorities. Active listings at month end have decreased as well as closings. 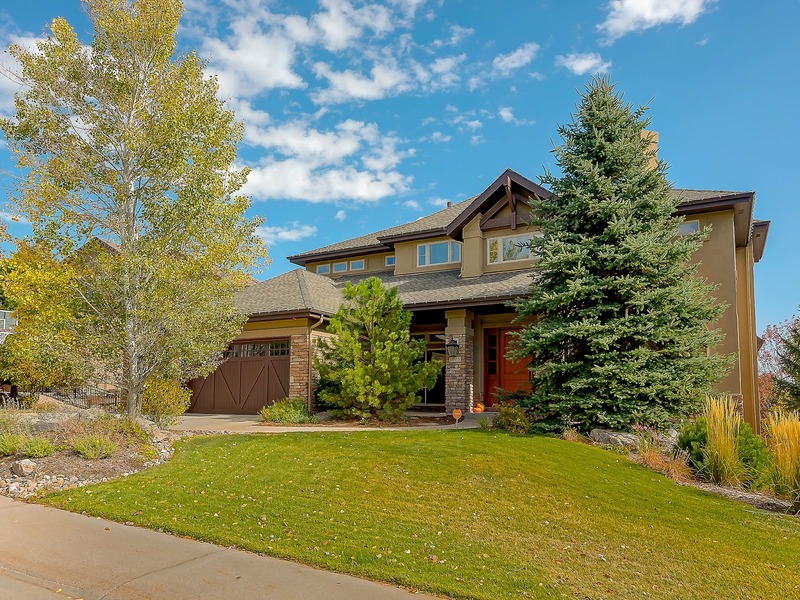 The Denver home market will continue to see a seasonal adjustment. As always, Buyer or Seller be prepared. Buyers today continue to be more educated on the Denver home market. We are in a slower time of year as traditionally the 4th Quarter relates to less home closing transactions per month than in the previous months of the year. With fewer homes available for sale a Buyer could be around the corner at any time. As a Seller in the current home market, you need to be aware of: (1) Increased appraisal times, (2) Buyers focused on smart homes, (3) Renovated and energy efficient homes becoming a priority (4) Healthy homes are now becoming a new priority as well (5) Interest rate increases will impact the home market while home price appreciation will remain low for the foreseeable future. Seller preparation includes a good pricing comparison analysis, instructions on staging, what are the top improvements and a conversation on how the market functions. As such, the homeowner looking to sell a home needs a professional who is a local expert and can assist in the Professional plan to sell one’s home. Home pricing will remain constant with little or no price appreciation, mortgage interest rates remain low today, even though there is every indication that mortgage interest rates will increase in the near future, and Sellers will be open to multiple offers.